Sonya Taaffe is a classical scholar and a poet as well as a writer of literary fiction, and her signature style is both poetic and cosmopolitan. The stories in this collection make it clear that she prefers to “show, not tell.” Her depictions of her native New England include so much imagery of rain and ocean waves that a reader can almost taste the drops. While the physical settings of her stories are precisely-described, her characters don’t adhere to clear gender or sexual norms. The rain was full of leaves, like hands on her hair as she hurried home. Grey as a whale’s back, the last cold light before evening: the clouds as heavy as handsful of slate, pebble-dash and mortar; the pavement under Vetiver’s feet where blown leaves stuck in scraps to her sneakers, brown as old paper, tissue-torn. The somewhat pretentiously-named Vetiver (who prefers her middle name to her first name, Julia) is going to visit her artist lover in the run-down apartment where he is obsessively trying to capture the look, sound, smell and feel of Autumn on canvas. The word-pictures in the story illustrate his efforts to express what seems inexpressible, at least to him. Asked if he has taken his medication for mental illness, he responds that he doesn’t want to blunt the power of his mind when he is working. The distance between the lovers seems unbridgeable, and the tragic outcome seems inevitable. Most of the stories in this collection were previously-published in various anthologies and journals of speculative fiction, and therefore they are inconsistent in length, theme, and impact. The “sleepless shores” of the title are not clearly identified, although the spirit world is plausibly described in several stories. In the most unnerving, the dead literally walk among the living. The preserved body raises questions about her status in the distant past: was she sacrificed to the gods? Was she executed for a sexual transgression? The narrator is haunted by the peat-bog woman, and the eroticism of the narrator’s dreams is mixed with the violence of Irish history. Space does not allow me to do justice to all 22 stories in this collection, but they are all worth reading. They defy simple classifications, and they are likely to leave a reader sleepless. My favorite books take me places, and no travel is more convenient than the trip taken right from my comfy chair with a beverage at my side and a dog at my feet. When October’s weather turns spooky and inclement, what better time than to go swashbuckling with some pirates in a dystopian Earth circa 2513? 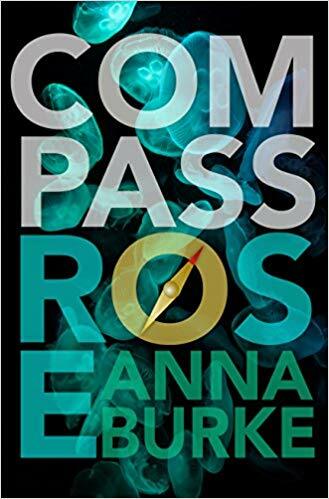 Put some candy outside for the little ghouls and climb aboard Miranda’s Man O’War with debut novelist Anna Burke and navigator Compass Rose. You guys have a coastline to map. Compass Rose was born “facing due north,” giving her a supernatural sense of direction. This asset proves invaluable to Admiral Comita of the Archipelago Fleet, who appropriates her and sends her on a secret spy mission to infiltrate the pirate Miranda’s ship because…well, intrigue and reasons and stuff. No one, of course, foresees Rose falling in love with Miranda, let alone her dalliance with Miranda’s first mate (except maybe Gentle Reader). This has enormous impact on Rose’s mission–if only she could decide whose side she’s on. The best world builders know not to overwhelm the reader–start with broad strokes and fill in where necessary as befits either plot or character development. Burke has internalized that rule well, giving us just enough detail to understand the intrigue and plot turns without burdening our comprehension. That the world is Earth helps, but I have a feeling Burke would be equally at home in more unfamiliar terrain. But even the most solidly constructed world is just setting without some good, meaty characters to populate it, and Burke comes up winners here as well. Compass Rose is a well-drawn, complex character often torn between oath and desire. Her navigational skills enable her to clearly see the route others should take, but she often misses her own emotional path and has to retrace her steps. Being in love with a mercurial pirate doesn’t help. Miranda is also a strong character, full of bluster and decision and command, but vulnerable only to Rose. And a certain fellow sea-captain. Compass Rose is a great seafaring saga full of rich characters, with an engaging plot that will leave you ready for the sequel. And that’s no bilge water. Gay mystery finds an earnest YA voice in Josh Aterovis’s enjoyably homocentric detective novel A Change of Worlds. It’s his fifth and latest book in the Killian Kendall series, which was recently re-released by MLR Press. I hadn’t read the early installments and found the story newcomer-friendly. Eighteen-year-old Killian is the book’s teen sleuth and forthright storyteller. He’s a likeable young man who just finished his freshman year of college and is working for a private detective in a small town in coastal Maryland. He’s something of a crime-solving prodigy, having saved the day on a local murder case, which is hinted at though not necessary to fully understand in order to follow along. As such, the story has a Hardy Boys feel and a requisite suspension of disbelief at times. 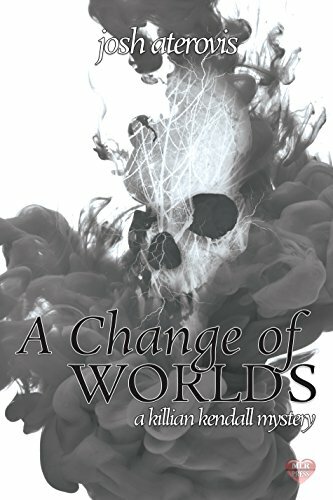 Taken as a salute to that genre, reclaimed for fans of gay YA, A Change of Worlds provides a comfy ride through mystery intrigue and the contemporary trials and triumphs of young gay men. Those issues of young adulthood share the stage at least equally with the detective work at hand. Killian’s painful backstory and unique living situation is presented early on. He was thrown out of his home by his homophobic father and happily taken in by a gay couple who own a bed-and-breakfast. They’re named Adam and Steve, with full intentionality I suspect, and they’ve become caretakers and ombudsmen to gay teens rejected by their families. The theme of found families/chosen families permeates Killian’s world. One of his tasks is to help a formerly homeless boy Tad adjust to living under Adam and Steve’s guardianship, to do his part around the house, and stay on the path of recovery from his traumatic past. Killian’s client Fletcher is a gay Native man who raised his gay niece and grandson due to the lack of acceptance of their families. The mystery concerns an archeological dig on Fletcher’s wooded property to discover and preserve Native artifacts. When Fletcher is called out of bed by the voices of his ancestors to check on the site, he is assaulted by an assailant he never sees. Killian gets retained to find Fletcher’s attacker, who also may be looting the dig overnight. He has a cast of suspects among the archeological team, local artifact collectors, and members of the Native tribe who have mixed views about the goals of the non-Native academics leading the project. There’s quite a lot to unpack with the premise, and Aterovis takes a thoughtful approach by considering issues of positionality and intersectionality. The tribe’s elder council is rightfully wary of the exploitation of their cultural history while some members of the archeological crew are tone deaf to that concern, adamant about the virtue of accumulating knowledge even when their dig reveals they have uncovered a sacred burial site. Meanwhile, differences in sexuality within the tribe create distrust and tension as well as pure blood versus mixed race characters. Killian stands aside as an observer while these conflicts play out not merely to be objective but to learn. Woven through the mystery storyline, Killian must decide whether to take the big step of moving in with his boyfriend Micah or to let the relationship go so Micah can pursue a job in New York City. The appearance of Killian’s ex Asher complicates that decision, and without giving too much away, Aterovis depicts that young adult drama with restraint and a circumspect resolution. Killian undertakes a variety of interviews and surveys of the archeological site to try to figure out who’s stealing artifacts, and then key figures are murdered, amping up the stakes of his investigation. As a detective procedural, the story is a slow burn, with lots of dead ends and detours while Killian wrestles with his romantic life and acts the part of older brother to Adam and Steve’s two younger boys. And there’s a paranormal awakening storyline. I found each of those threads to be well-crafted, but it may be quite a lot for readers looking for a fast-paced crime thriller. The book clocks in at 140,000 words. Still, a charming teen detective novel with a refreshing focus on gay situations and Native communities. 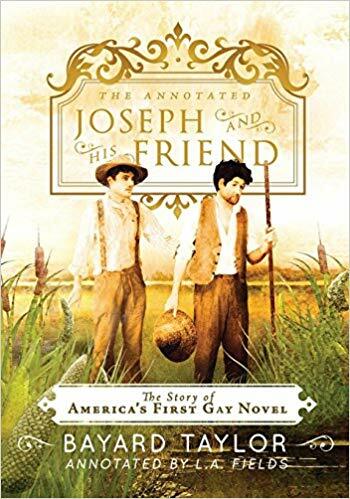 Joseph and His Friend, originally published in 1870 by Bayard Taylor, tells the story of the handsome, twenty-two-year-old country farmer Joseph Asten, set in 1867-8 Pennsylvania. The title character, like many a man before him (or since), feels himself to be “different;” he broods because love must be “hidden as if it were a reproach; friendship watched; lest it express its warmth too frankly…” with only one road available to him “—that leading to the love of woman.” Succumbing to societal pressure, he marries the thirty-year-old Julia Blessing, a manipulative, worldly woman from the city. While on the train back from the city after meeting his prospective in-laws, Joseph makes the acquaintance of Philip Held, a twenty-eight-year-old with “all the charm of early manhood:” golden hair, gray eyes, and moustache over a full mouth. As Joseph gazes at Philip’s beauty, Philip gazes back, with a look that responds, “We are men, let us know each other!” (Taylor notes that this sort of look “is alas! too rare in this world.”) A train wreck lands Joseph in Philip’s arms (literally) and the two men discover that they are to be neighbors. The night before his wedding, Joseph stays with Philip, who declares to him that “a man’s perfect friendship is rarer than a woman’s love,” and that moreover he can be “nearer than a brother. I know that I am in your heart as you are in mine.” Joseph’s marriage to Julia quickly deteriorates, as her duplicity becomes apparent; Joseph finds himself drawn more and more to Philip, but even after his marriage ends, his love for Philip is never depicted physically, but rather remains brotherly. The novel ends on a jarring note, implying that Joseph has begun courting Philip’s sister Madeline, and may eventually marry her. So how does Joseph and His Friend hold up after all this time? I wondered as I began reading, and I found the plot compelling enough to finish the novel in a couple of sittings. I found the elevated tone of the dialogue entertaining in its own right (while simultaneously doubting that nineteenth-century Americans really spoke in such a manner, even the educated class). Probably the greatest obstacle to a modern reader is the opaque nature of the novel: as risqué as the quotes above may have seemed to the nineteenth-century reader, most twenty-first century readers might question whether Joseph and Philip are anything more than friends, especially if they are aware of the nature of friendship among men in earlier historical eras. (They embrace on page 218, and kiss on page 221 of Fields’ edition, but otherwise do not consummate their passion for one another.) Still, whether or not Joseph and His Friend is the first American Gay novel (it was published a year after the first appearance of the word homosexual in print by Karl-Maria Kertbeny), it is an important artifact in Gay literary history, and Fields is to be commended for retrieving it from obscurity and providing us the tools to enjoy it in its proper context. The heart of farce is the fear of discovery, so the bigger the secret, the bigger the laugh. And the secrets in Laury A. Egan’s latest novel, Fabulous! An Opera Buffa produce some pretty large fun. Drag, artifice, chicanery, revenge, betrayal and well-intentioned motives collide on multiple stages in various parts of town. It’s not quite the novel equivalent of Noises Off! but it has the same spirit, energy, and pace. 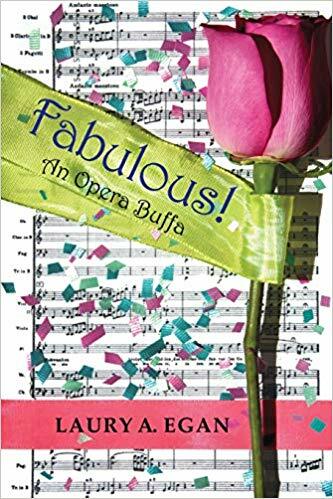 Opera singer Gilbert Eugene Rose desperately wants to be a famous diva, and to that end pursues and wins a tenor role as the Duke in Rigoletto as well as the soprano role of Fiordiligi in Mozart’s Cosi fan tutte. At a different theatre. Across town. You’d think Gil would be pretty busy with dual rehearsals and the occasional gig as Kiri De Uwana at the Purple Plum for a few bucks, but circumstances also force him into a job singing Handel for a distaff mobster who is sworn enemies with the producer of one of Gil’s two operas. But with her, each performance is by command. And dangerous to miss. In fact, she insists he ruin the Rigoletto to settle that old score of hers. Can Gil survive his own career, not to mention a gender-bending twist during Rigoletto? You won’t know until the finale. Totally different than Jenny Kidd, Egan’s story of art forgery and murder from 2012, Fabulous! handles not only the change in subject but the change in tone like a champ. You’d think Egan had been writing madcap farce most of her life. One of the drawbacks of this type of comedy is the sheer number of cast members usually required to drive it, but Egan has no problem coming up with those characters and moving them with precision. Among my favorites are LaDonna, the female mobster, and her assistant, Gal. The relationship between the two women is interesting and well-grounded, but when Gil runs afoul of LaDonna, the comedy goes out the window. She turns dark and mean, bringing a different dimension to the last third of the book. That darkening of the plot and tone is truly admirable, as it elevates this from simple farce into something farcical with interesting textures. This also differs from some farces I’ve seen in that it’s not contrived. The choices driving the action come from characters rather than the author. And Egan’s facility and familiarity with opera is evident. She knows her arias. But she never gets too obscure or explains too much. No matter how much or how little you know about the subject, however, once you start this ride, you’ll be on it until the car stops. Egan hits the ground running and doesn’t waste a moment. 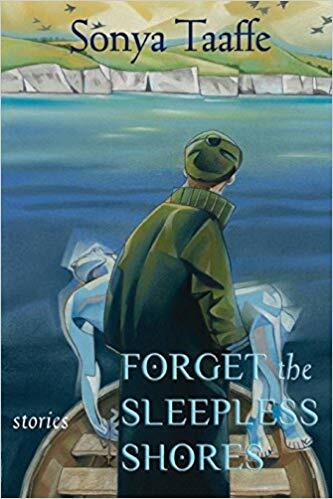 In that respect, it’s one of the most economic novels I’ve read in some time. It never lags or sags. Fabulous! is on the beat and perfectly pitched. I hope you’ll be singing its praises as well.